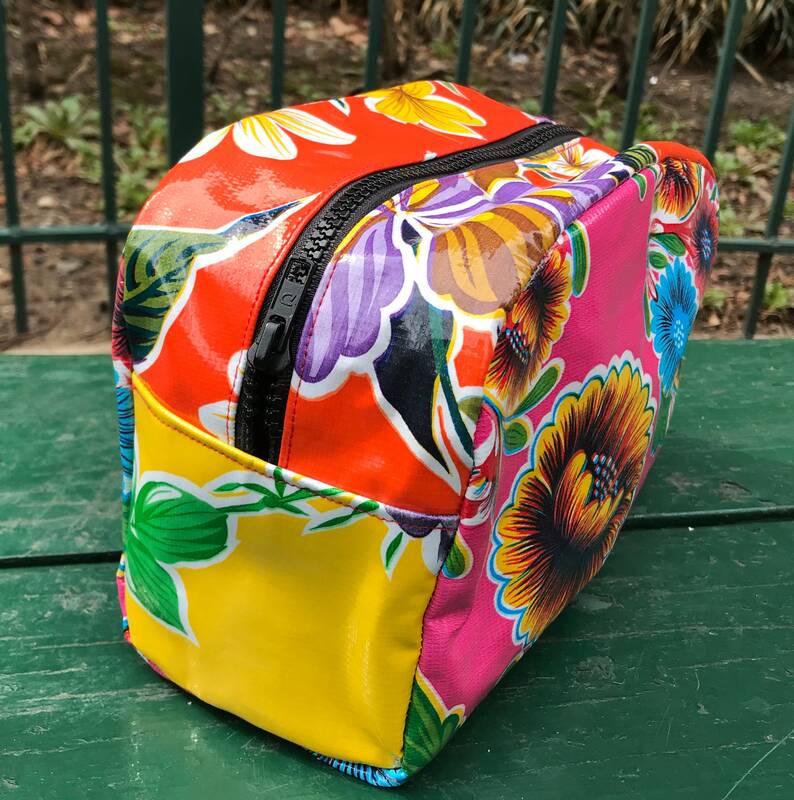 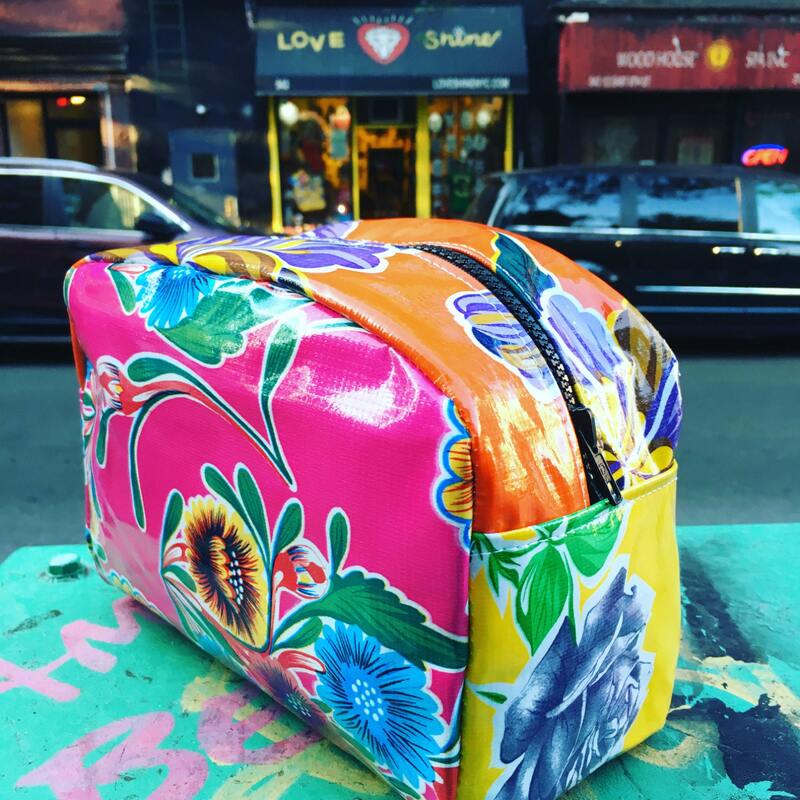 We have taken the inspiration from the beautiful colors and patterns of Mexican oil cloth ( traditional table cloth covers) to create our bright and festive patchwork dopp kits. 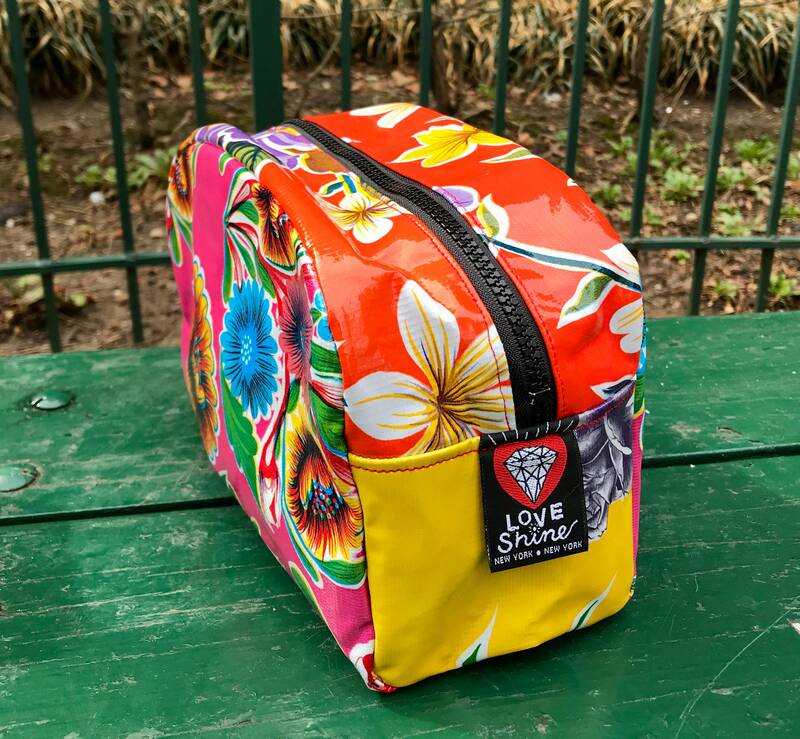 This bag is lined with a water repellent canvas and it is lightweight , strong, practical and perfect for carrying essentials. 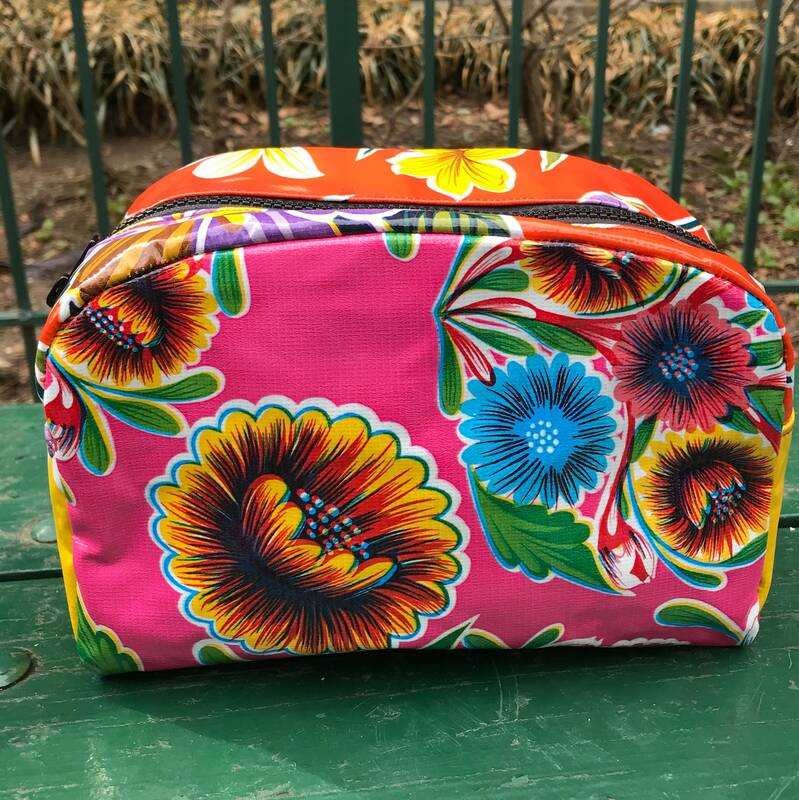 Please keep in mind each bag is unique in the way the pattern falls on the bag.